World Council for the Cedars Revolution - Boeing/British Aerospace Hawks for the LAF? Home News Content Blog Boeing/British Aerospace Hawks for the LAF? Boeing/British Aerospace Hawks for the LAF? It is time the US get back in the drivers seat of providing/working out a deal to supply the LAF with its requirements. Reports surfaced recently on the airworthiness of Russian fighters, especially the Mig-29, which is being offered to the LAF. This is nothing new, the Russian Military has been going through a long transition phase with associated pains in the post soviet era; couple this with Military Purchases being curtailed down from their Military Industrial Complex's; then the best analytical estimate is that they have reached a serious lull and this must be addressed immediately or their Reputation will suffer further. We have recently seen the Russian Military take a turn to the better with the creation of the United Aircraft Corporation (UAC) and the integration of major Aerospace units in it, as well as a little increase in military requirements and purchases, but this may not be enough. The bottom line is this - it all costs money, and when money is not as readily available as it was under the Soviet Empire then something has to give and that something is usually the Russian Air Force will start curtailing expenses such as: Flight Hours being cut, thus maintenance cost cutting as well and Purchases. Unless some serious turn around is ordered from the supreme leadership of the Russian State, then one must conclude that the Military Industrial complex will not be at the heights it use to be and is suffering"
As far as the LAF is concerned, there has been a lot of chatter in the media as to the need, this is all nonsense, the need is there and the requirement is there and it stands and everyone that understands military knows that the LAF needs these warplanes. The fact that the LAF did not have warplanes capable of dropping iron bombs on Nahar al Barad cost LAF Solders their lives; a repeat of this type of war is quite possible and the LAF doesn't want to be in the same position as it was during that conflict - it needs to strike its targets. 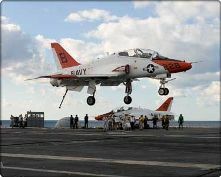 The US recognizes this and this is why the US at one time was reported to offer the Vietnam era B-66/A-3D Skywarrior to Lebanon [ LINK ]. The only problem with these Skywarriors is the cost in dollars and maintenance hours to keep them airworthy may be more than acceptable. When you are in a fight the last thing you want to have on your worry plate is that the plane is still in maintenance and/or it's airworthiness may be an issue during the mission. Lebanon is on the fence, obviously the US doesn't want the Country nor the Military to fall into opponents' hands, an election is upcoming as well, however when faced with situations such as these - and add to this the historical perspectives and lessons learned - the US is much better off supplying the LAF with trainers like the Hawk than not. This is a big opportunity for the US to reconsider Lebanon's Air Force requirements. We've already giving them our stance on fully deploying throughout Lebanon, being the only and strongest military in the country and thus providing security and fully implementing 1559 and 1701; well this equates to a number of measure being taken by both the LAF and the US and one of these is empowering those in the LAF to carry through with these requirements and the other is the LAF actually following through." A package deal with a lend/lease of such equipment could be written in such a way that both sides the US and the LAF must comply with. A perfect opportunity and example is the British Hawk advanced trainer - in use in the British armed forces and the US Military/Navy as well as other nations. 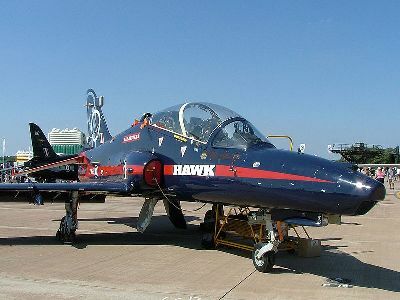 The Boeing/British Aerospace Hawk was designed as an advanced trainer and later adapted to have the capability to drop bombs and have limited air defense capability. If the US supplied the LAF with these trainers the balance of power would not significantly be affected in the region, as a matter of fact it would be affected much less than if the Mig-29's were delivered, and Lebanon gets the military might it needs to extend its power over all of Lebanon - the border, 1701, another Nahar al Barad etc.... and the insight and support that the US gets is worth any foreseen risks, thus this author, EFares is recommending the US reconsider supplying requirements of the LAF as an opportunity to partner with those in the LAF that want to partner with the US, and thus consider working out a deal where the US supply the LAF with the Hawk Advanced Trainer that have the capability to drop bombs. We are in the same fight that the Lebanese are in, the LAF is facing the same terrorist opponents we faced in Iraq, it only makes sense to team up with and fully support those who stand up with you and fight with you. The Hawk is a perfect fit for the LAF, they have used British warplanes in the past - as a matter of fact the Hawker Hunter is still in use in the LAF which got 3 of them in working condition, the US and the British produce these planes, the LAF is at a stage where it would benefit from advanced Jet Trainers, the US Navy uses these planes as trainers, the LAF could use these to drop bombs should another Nahar al Barad arise, and the balance of power in the region would not change in a way to alert anyone. It's a win-win situation for all sides. The Lebanese, especially a majority of those in the LAF would rather fly and cooperate with their American partners than be forced into the Russian camp. Russia on the other hand would like to assert itself more in the region, as we saw with this past summers Russian Naval Visit of its only Aircraft Carrier to the Syrian Port of Tartus (Tartus has been newly renovated by the Russians and serves as its only overseas port). There are a lot of dynamics in the Mid East region both post Iraq and post Bush era's and the Russians see this as an opportunity, the Lebanese whole heartedly identify with and would rather partner with the US. There is a possibility that the US and the LAF may even find another donor country that would lend/lease/loan or give the LAF these trainers, i.e. noting that Saudi Arabia has quite a few in its inventory, as well as Kuwait, UAE, Oman and Bahrain and the LAF requirement is not that large. EFares for CRNews.